Dartmouth’s outlets for self-development are worth appreciating. While I still have an unreasonable amount of nostalgia for a term that ended two months ago, my study abroad experience also gave me a newfound appreciation for Dartmouth and a renewed excitement to return to my ongoing research projects. While we don’t exactly live in a so-called cosmopolitan center, going to school abroad made me realize how easy it is to take advantage of our academic freedom and privilege. 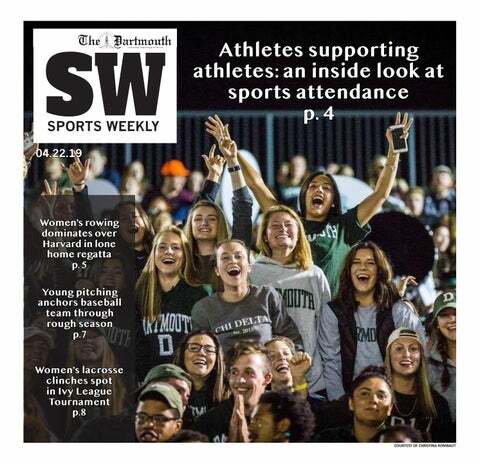 Many juniors and seniors get tired of the smallness at Dartmouth. They look forward to finding jobs or attending graduate schools in a big city, but it is especially important to appreciate the unique opportunity we have at this time in our lives to experiment intellectually and create meaningful work through research before the constraints of our careers loom over us. Part of this academic freedom comes from an availability and concentration of resources for a relatively small student population — characteristics that similar small liberal arts colleges share. Larger universities might have a wider variety of funding sources for research, but most of Dartmouth’s research funds are dispersed by the Dartmouth Office of Undergraduate Research. Applying for grants is therefore a streamlined and accessible process for most students. In my experience, various members of UGAR are more than willing to consult with students and guide them through the application process. Additionally, Dartmouth’s location — which pessimists might construe as isolated — may be reconstructed as a space of hominess. As a student at King’s College in London, I felt somewhat disoriented that I had to travel for 40 minutes to get to the central part of campus; even then, the high student population meant that I was never guaranteed a study spot. While I no longer have access to the vast range of food venues suited to different budgets or tastes and available in every corner of London, I am grateful for our far less overwhelming dining system and for the atmosphere in Dartmouth’s dining spaces. The geographic proximity of Dartmouth’s residential, academic and dining venues also eliminates a distinction between residency and school. Students often take advantage of the central nature of our campus, leaving their belongings for hour-long lunch or dinner breaks to secure their seats for when they return. In a city setting or at a university, students might feel less safe leaving their items unattended. While these aspects of campus life seem relatively mundane, they contribute to an ideal learning environment. In London, I found it difficult to carry out the research projects I initiated at Dartmouth even though I had access to multiple library catalogues online. I feel that my intellectual work is located here in Hanover. A complaint I frequently hear relating to the Dartmouth bubble is that we are out of touch with the community at large, that we are unengaged with activist initiatives or political movements and that Dartmouth is very institutional. This is true to some extent, but the academic freedom I have experienced in and out of class here has given me the opportunity to pursue unique research ideas and experiment with both form and content. The small student population and selectivity of Dartmouth’s application process means that professors grant significant trust to their students. Even when ideas are not fully fleshed out, I have found that the College’s student research organizations and programs emphasize the skills students need to carry out research while allowing for flexibility and changes in students’ visions. In 2017, Dartmouth increased the size of its incoming class to record numbers and announced the creation of a task force to evaluate the advantages and disadvantages of future change. This suggests that the College might be envisioning increased enrollments going forward. But much of what I love about Dartmouth is the intimacy fostered on this campus, which cultivates intellectual and personal development. At worst, Dartmouth College is quaint. But at best, it is a tight-knit community. I can sit in the 1902 Room from 8 a.m. to 8 p.m. and develop an unspoken kinship with the students who share that space with me. More importantly, I can come forward with unconventional and preliminary ideas for research. With the right resources and attention from professors, I can turn those ideas into meaningful projects. At this point in my Dartmouth journey, it is easy to become a “Senior Washed Up Girl,” but my experience abroad has rejuvenated my appreciation for my time on campus.